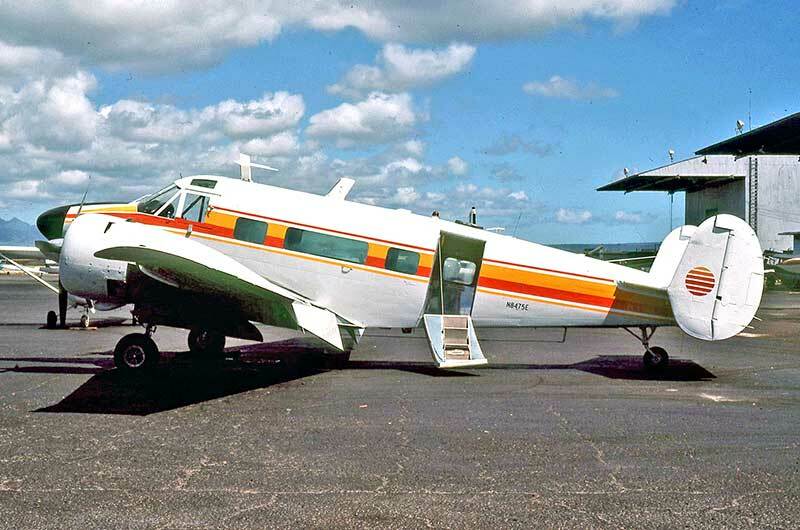 including Skymotive Inc nose cap and extended over-wing nacelles, enlarged cabin windows, wrap-around windscreen. 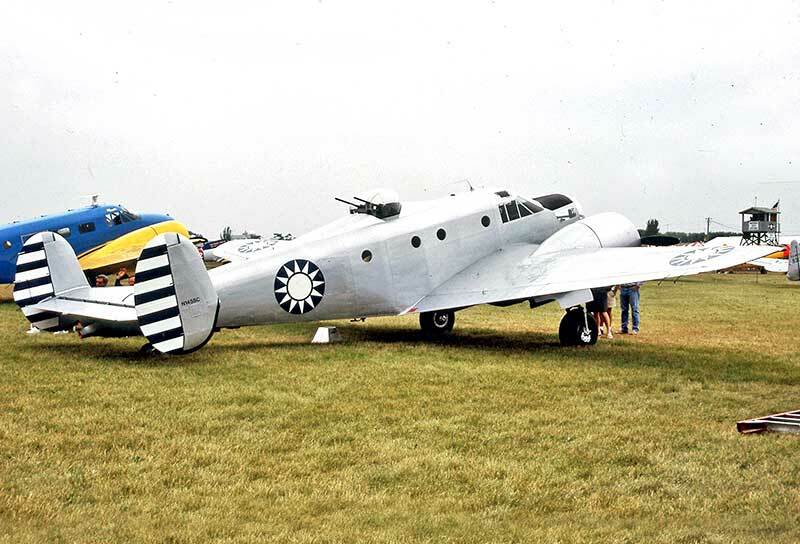 designated C-45G and C-45H. 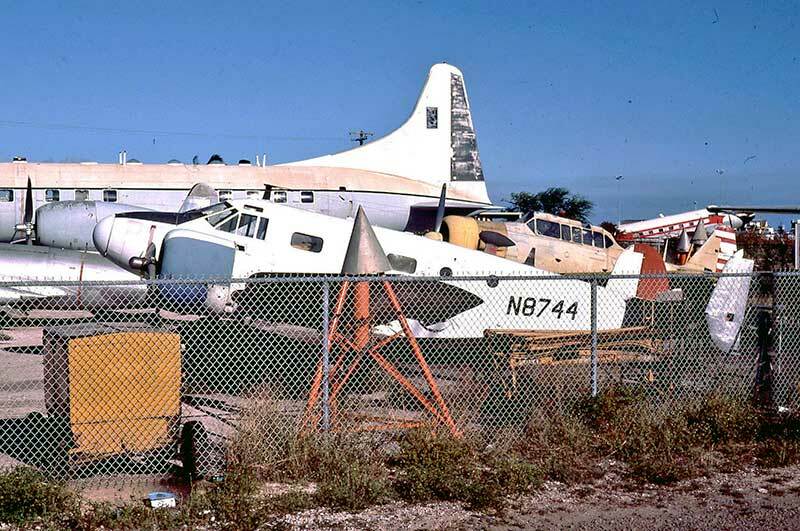 These came on to the surplus market from 1959 as low-time bargains for civil owners. 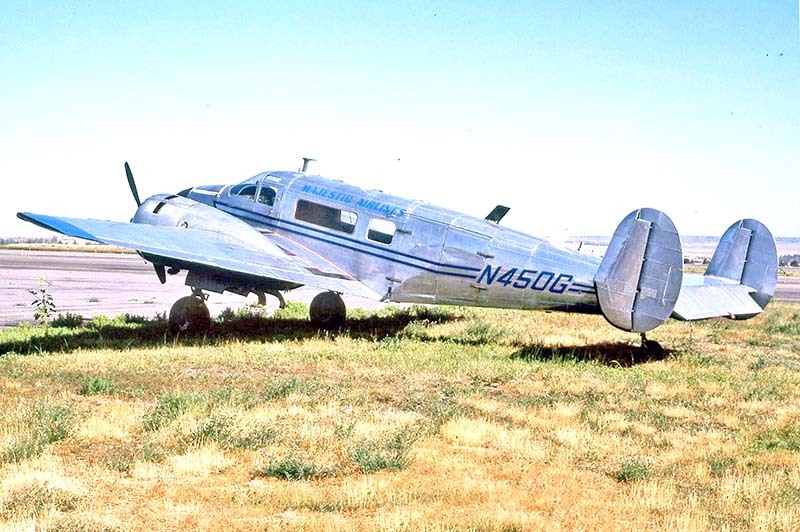 This polished metal C-45H N450G at Billings, Montana in August 1989 was a night freighter with Majestic Airlines. 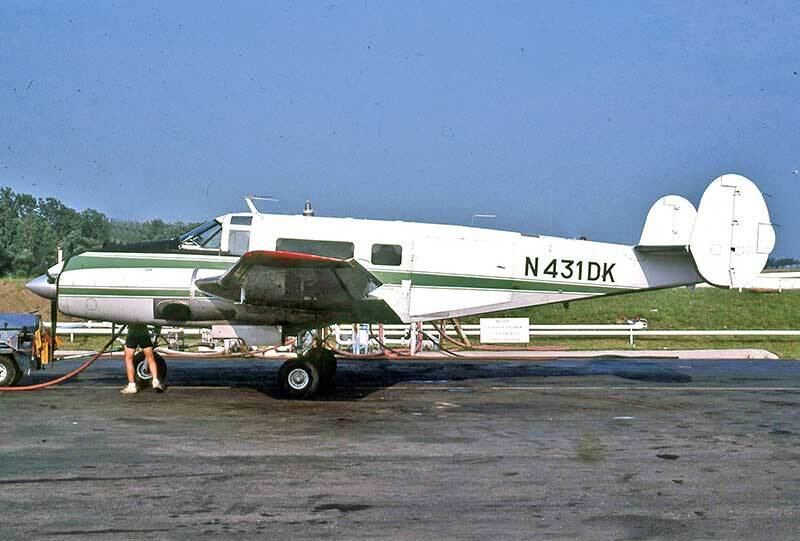 the extended nose, as well as other improvements like wrap-around windcreen, vista windows, 3 bladed props. 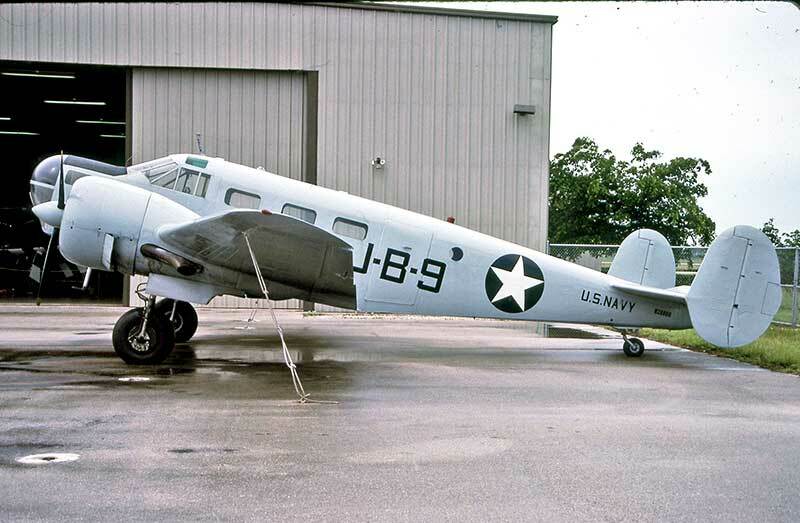 SNB-1 N2880D was built in 1943 to wartime US Navy order as an equivalent to the USAAF AT-11 bombardier trainer. 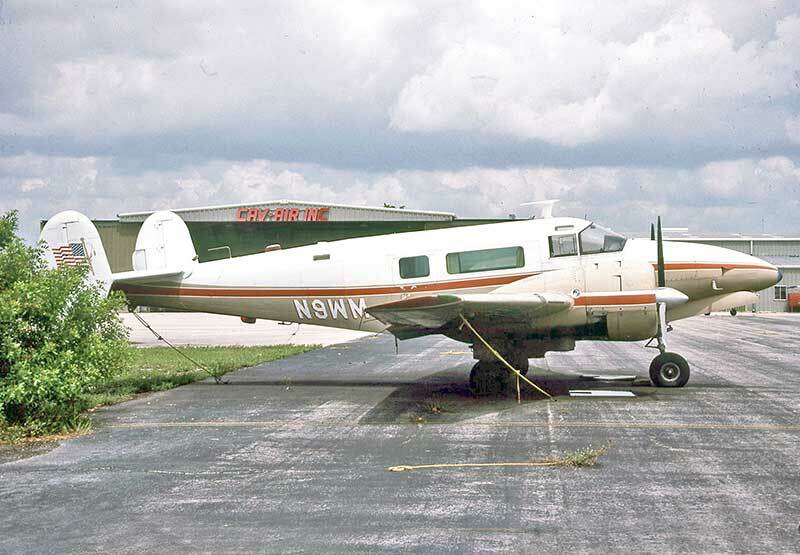 Kermit Weeks and flown from his Weeks Air Museum at New Tamiami Airport, Florida where it was seen in August 1989.
dorsal gun turret, painted in Chinese Nationalist Air Force markings. 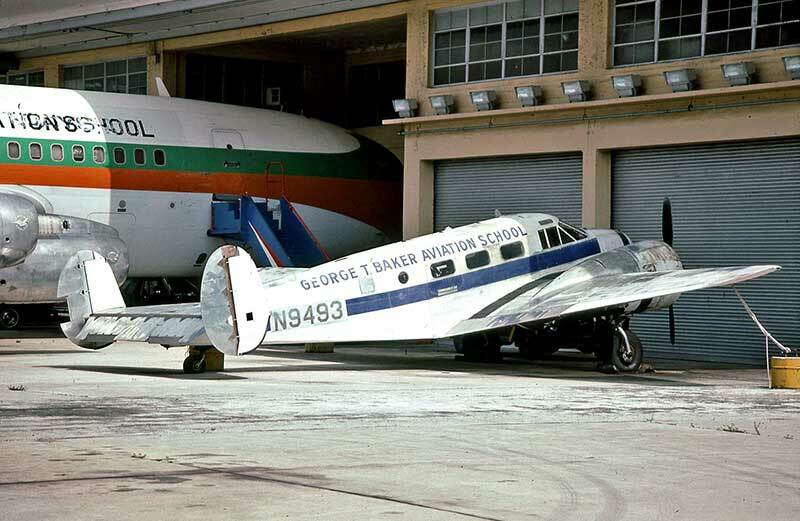 to become an instructional airframe at the George T. Baker Aviation School at Miami Airport. Seen in August 1989. 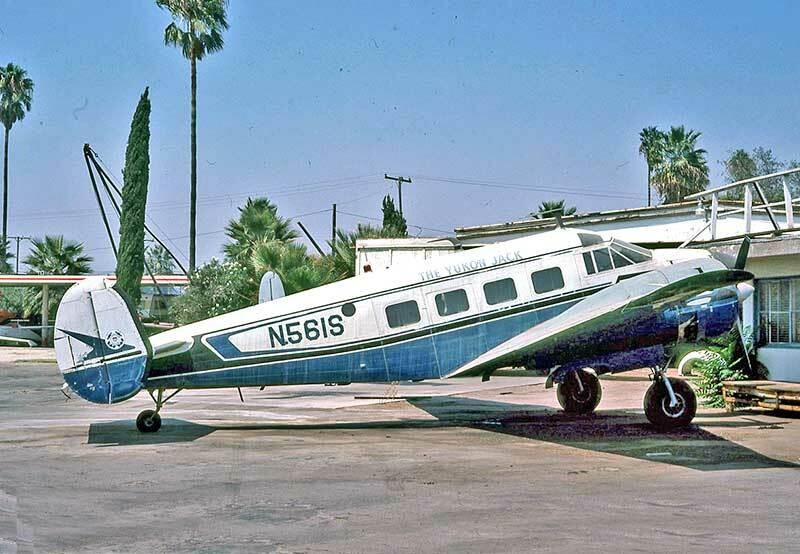 The E18S was the first model of the successful new line of Beechcraft Super 18s built at Wichita KS from 1953-1968. 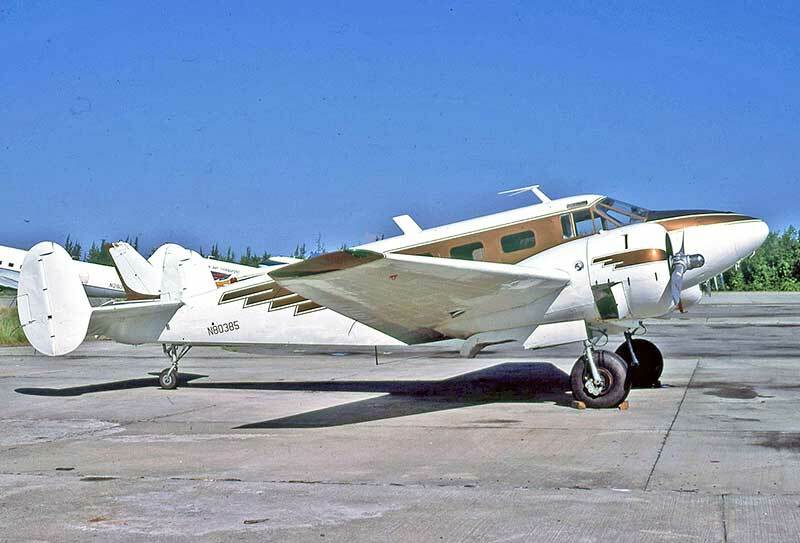 E18S CF-PER of Air Niagara Ltd, seen at Toronto-Malton Airport in October 1981. A row of E18S freighters with ABC Airlines at home base Dallas-Fort Worth Texas Novemebr 1981, N130L closest. based at Sacramento CA. The retrofitted cockpit door is open to allow the cabin to be filled with revenue cargo. 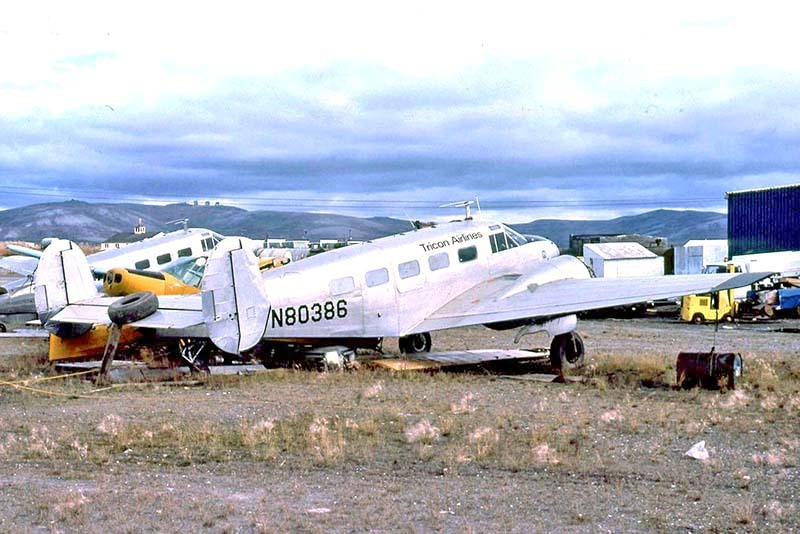 to assist takeoff from high elevation moutain strips, later using it as a fruit fly sprayer. 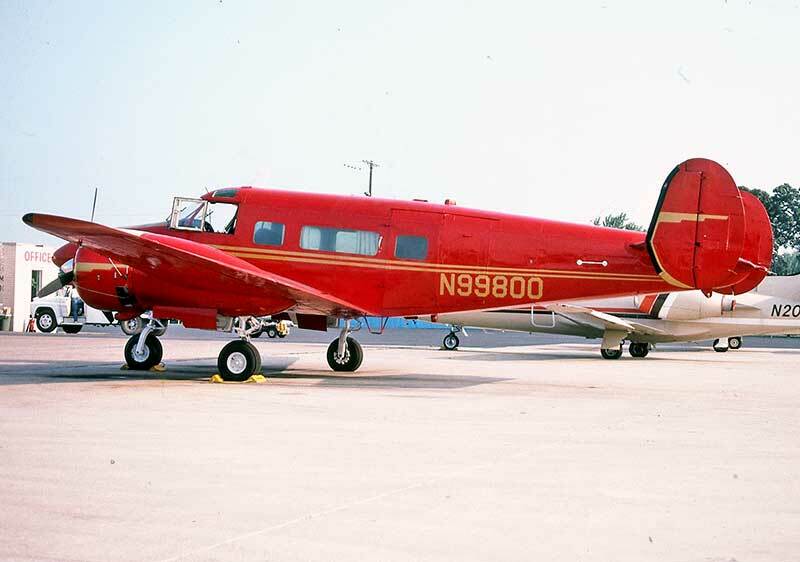 Final Beech 18 model was the Super H18 which was marketed by Beech with an option for factory-fitted Volpar trigear. 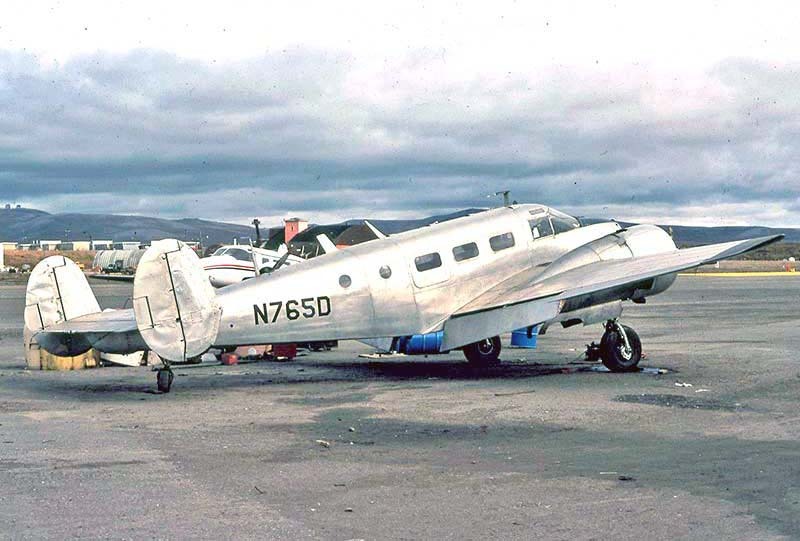 H18 N8475E was one of the few delivered with conventional tail wheel, to the Japanese Maritime Safety Agency in 1965. Photographed at Honolulu in August 1981 on Hawaiian inter-island freight service with DHL Cargo. 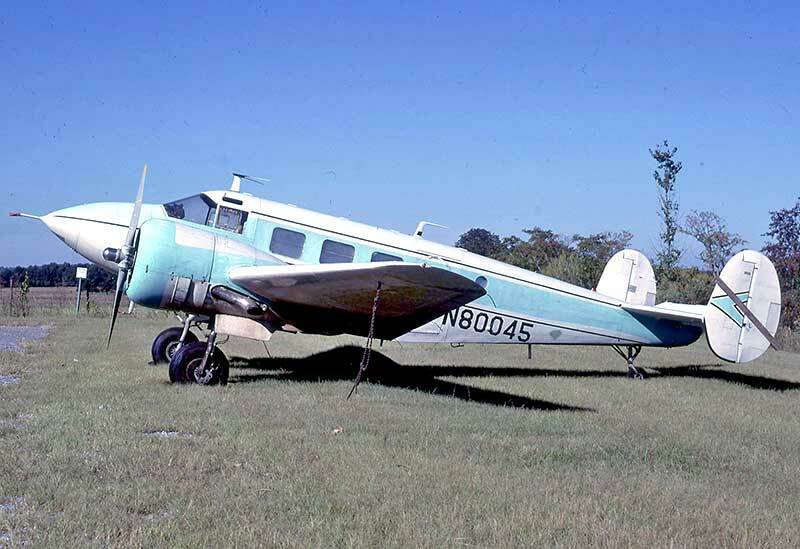 H18 N34AP with factory trigear was originally delivered in 1967 to Japan Air Lines as part of an order for 7 for pilot training. 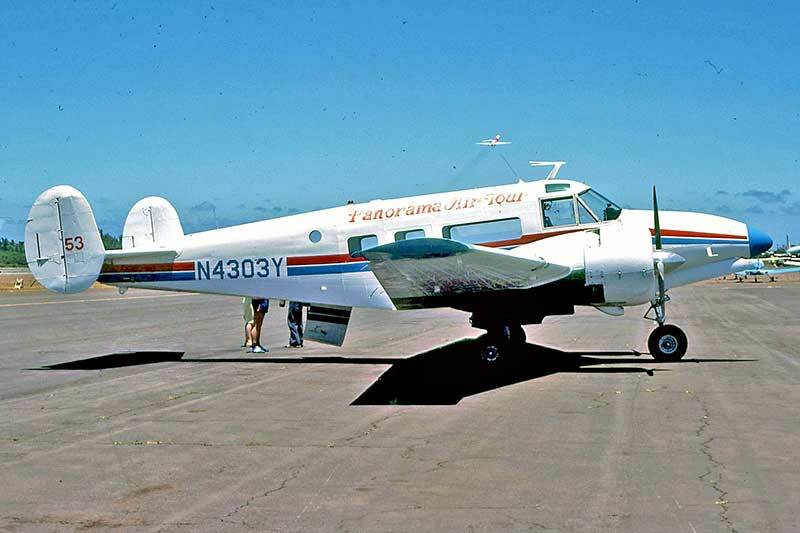 A 1974 sale by JAL to Trans West Airlines in Australia fell through, and it was sold to Hawaii. 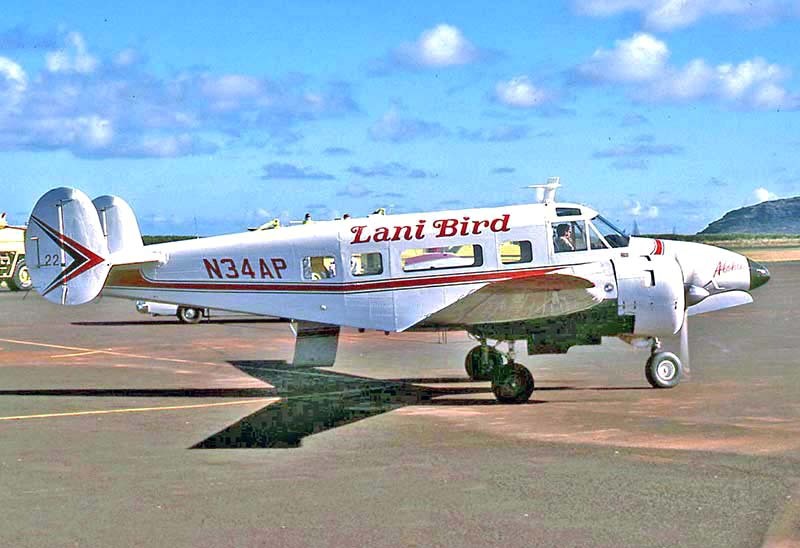 Seen at Kauai August 1981.
schedule with a Georgia charter operator. 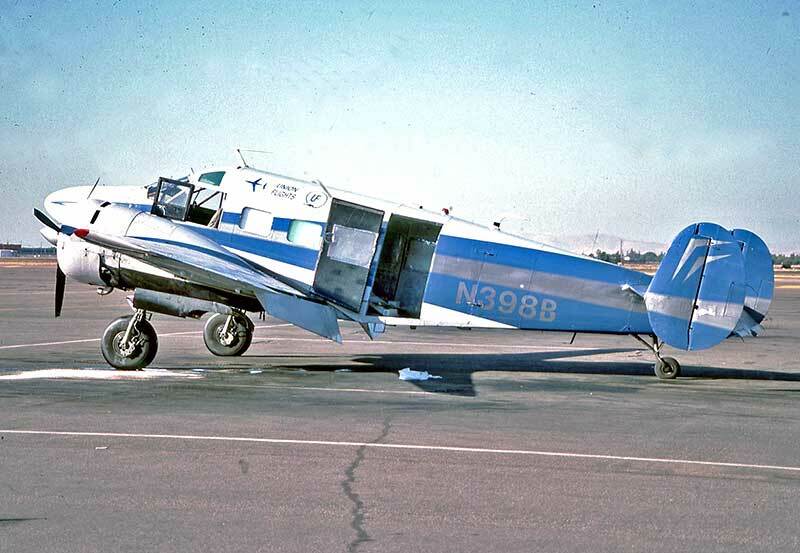 The retrofitted cockpit door is open while the pilot took a break. 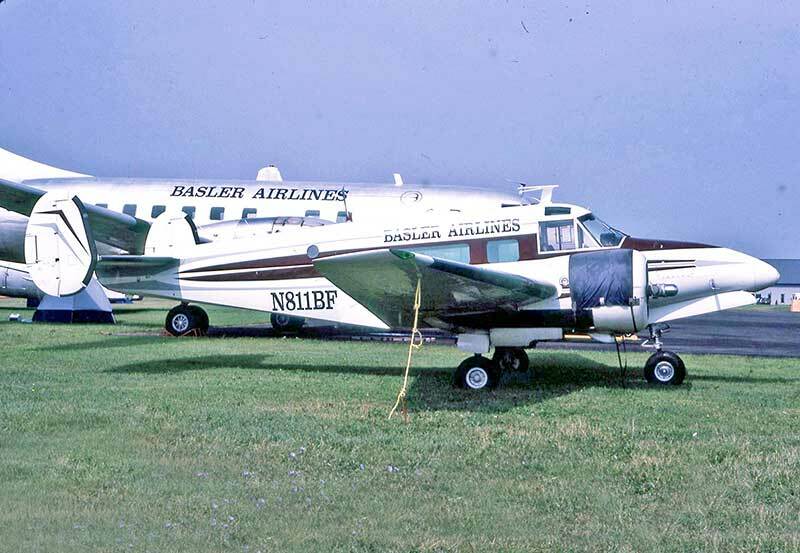 modification production line at Oshkosh, Basler have operated night freight contracts for many years. 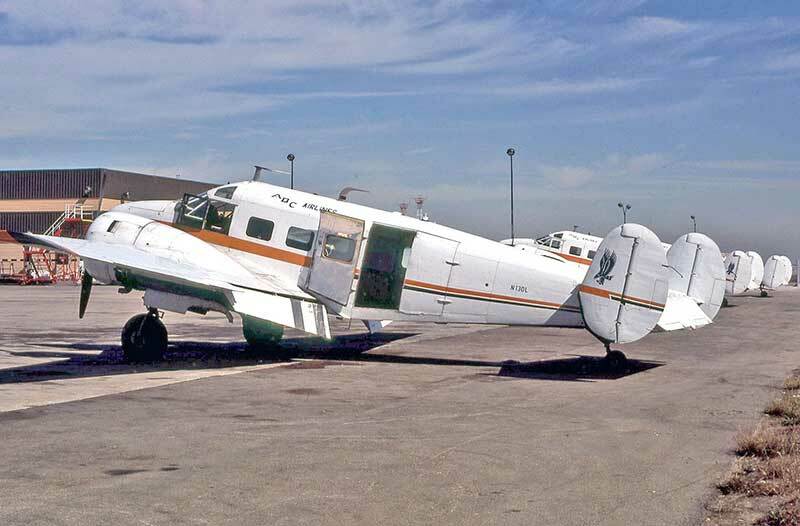 This Beech H18 is a former Brazilian Air Force aircraft modified for military roles, designated TC-45T, later U-45T. 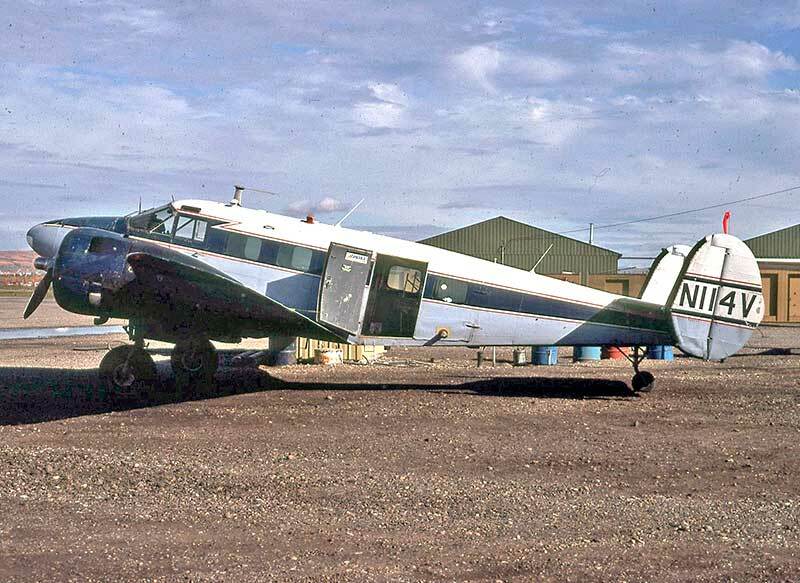 An order for 15 TC-45Ts was delivered in 1964 from H18 production, and later sold surplus to Brazilian civil operators. 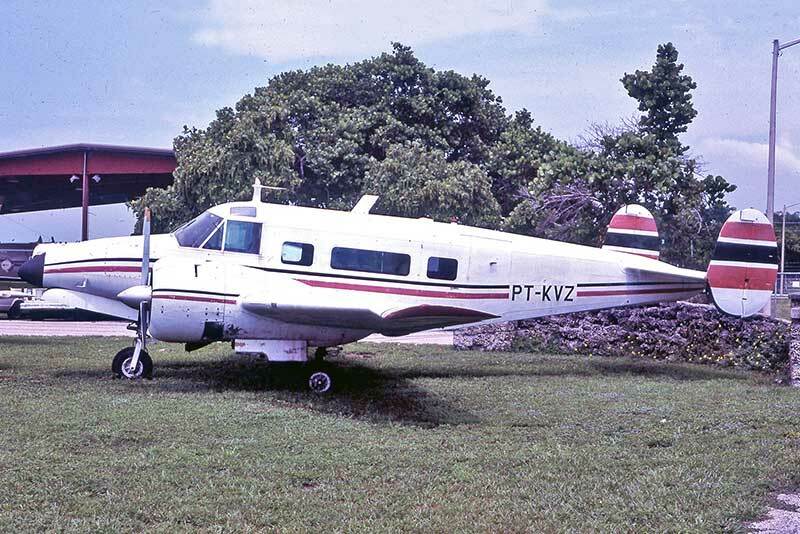 PT-KVZ of Rio taxi Aereo Ltda was at Miami-Opa Locka in August 1989 advertised for US sale. by Air Asia in Taiwan. 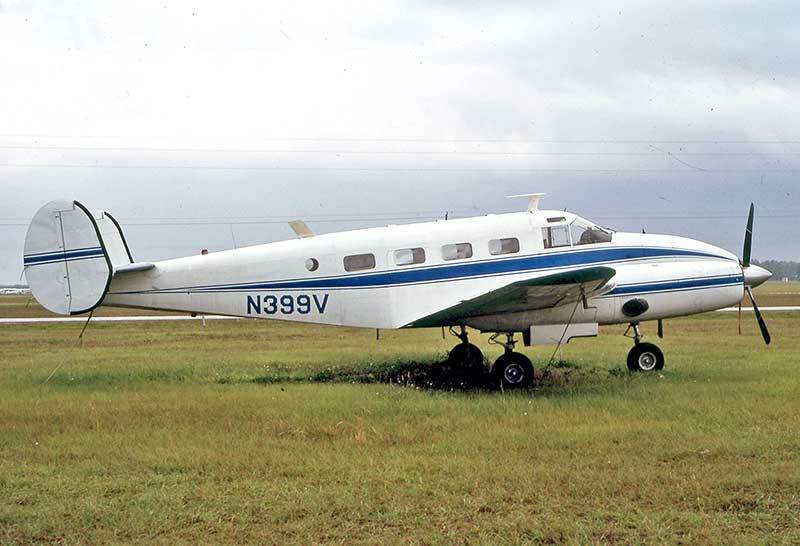 N399V was based on a C-45G airframe and retains the low roof. at Detroit-Willow Run for freight work. 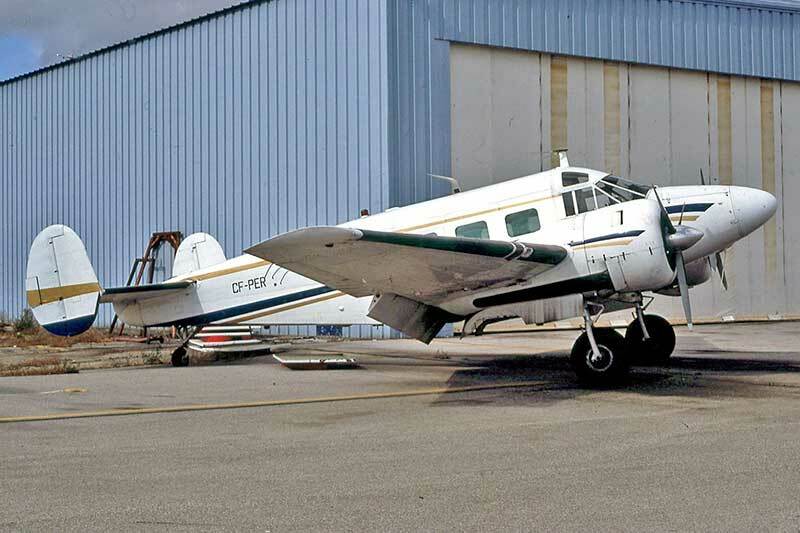 Note the large cargo door. 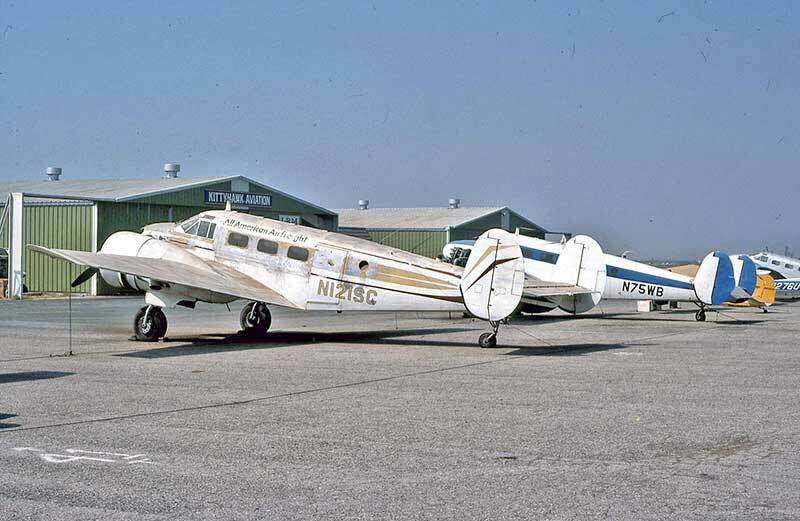 Seen at Willow Run in August 1989.
at Van Nuys CA in 1971. 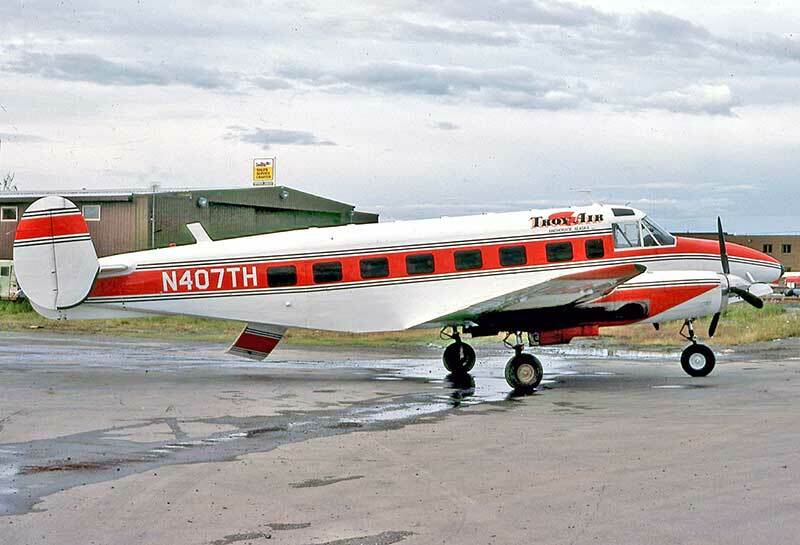 The design included the fuselage stretch, AiResearch TPE331 turboprops, raised roof and trigear. 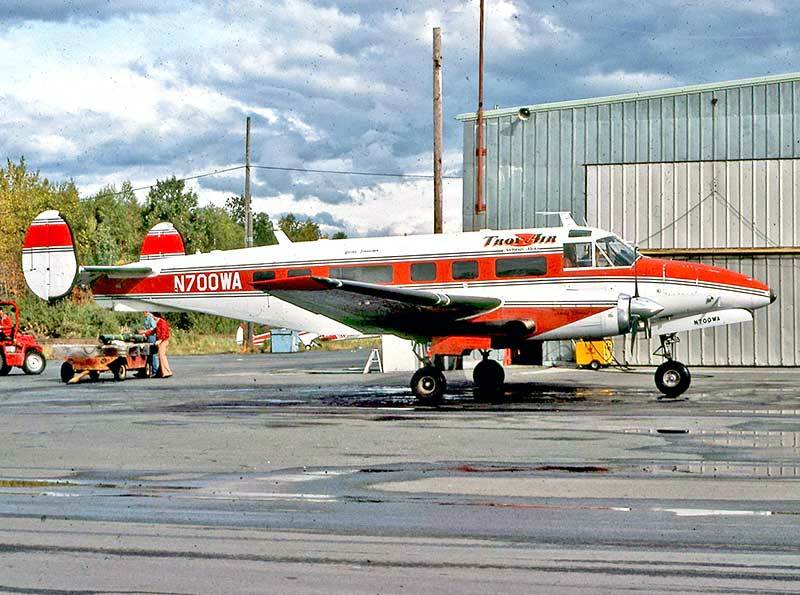 N700WA was an upgraded Volpar Turboliner II conversion, completed in 1974 based on a Beech E18S airframe.